In-town Charmer at a Great Price! 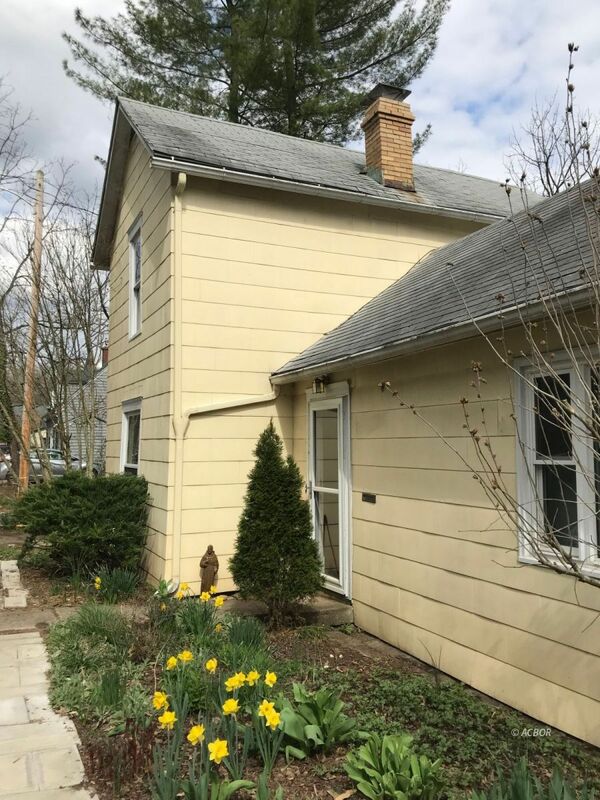 Bright and crisp as just-washed linens hanging from a clothesline in early Spring, this delightful 2+ bedroom home arrives on the market just in time for a mid-May move-in! The main level features a big bright living room that's surprisingly spacious, with gobs of bookshelves, a comfy seating area and even enough room for a baby grand piano (which the current owners will include in the sale for the right offer!). Updates aplenty here including a newer kitchen with farmhouse sink, custom shelving, gas range, plus access to the backyard deck. Other updates include first-floor bathroom, newer heat pump, energy-efficient windows, and lots (and lots) of fresh paint. Main level also includes large extra room which can serve as formal dining room, office, or even a third bedroom. Upper level has two good-sized bedrooms, both bathed in lots of natural sunlight. Basement level provides extra storage areas and easy access to mechanical systems and off-street parking spot. Owners to include $100 Gift Certificate to Buyer(s) at closing either for Casa Nueva or the Village Bakery, just because they want the new owners to love the convenience of this great in-town location as much as they have! Russell Chamberlain (License# BRK.2007004228) with The Athens Real Estate Co., Ltd.